ITIL offers a framework of structured, scalable best practices and processes that organizations can adopt and adapt to fit their own operations. Organizations implement ITIL best practices to improve service. Cost benefits are an added benefit due to streamlined processes. When fully implemented, the processes ensure consistent, high quality service that meets business needs. Continuous process improvement increases efficiency and productivity. Business units better understand trade-offs between costs and levels of IT service. IT organization is structured with an enterprise view to see and maintain services from an end-to-end business perspective. Meaningful and measurable service metrics gauge IT service performance. Clearly defined responsibilities, processes, and integration keeps all parties informed. With better documentation and understanding, organizations can avoid duplicating other departments’ efforts. What Version of ITIL Is Right for My Organization? Implementing an ITIL practice is all about IT service optimization. So far, two versions exist: ITIL Version 2 and ITIL Version 3. Version 2 focuses on the categories and areas that make up a service optimization practice, and Version 3 is a next step towards mature, continuous IT service optimization. Both versions are beneficial, and which one you implement will depend on your business’s IT maturity. Details of each version are presented below. ITIL business relationship management is a group of people that serve as liaisons between the business and IT. This is where business requirements are gathered and translated into IT resource requirements. Information and communication technology (ICT) infrastructure management is the intermediary between service management and technology. It’s the branch of ITIL that focuses on processes. The goal of ICT infrastructure management is to use proven, repeatable processes to provide a stable operating environment for everyone using the technology. Simply put, application management is the process of managing applications throughout their lifecycle. Traditional application management processes guide how business applications are developed, managed, improved, and—when necessary—retired. Security Management is an integral part of the other IT disciplines. It has both a business and service focus to ensure the organization will meet regulatory agency requirements, such as Sarbanes-Oxley, FDIC, SEC, or HIPAA. Service Delivery is the delivery of an IT service to a customer. Service Delivery brings the business and IT together to benefit the company as a whole—eliminating the detrimental “Us-versus-Them” mindset. This is important because it performs a service the customer cannot do—and provides great value. Service Delivery should foster a corporate behavior for responsible use of IT services while maximizing corporate profits. Capacity management is important to ensure that IT infrastructure resources are in place to satisfy planned business needs. It also makes sure those infrastructure assets are effectively used. IT service continuity management (ITSCM)—also known as DCP, DRP, DCT, or simply DR—takes disaster recovery planning to the next level. Availability management ensures that your application systems are up and available for use. This is especially critical when it comes to meeting the conditions of your service level agreements (SLAs). Where service level management defines and manages the services, financial management determines the costs of those services and provides financial accounting support. In short, they ensure expenditures fall within approved plans and that funds are spent well. 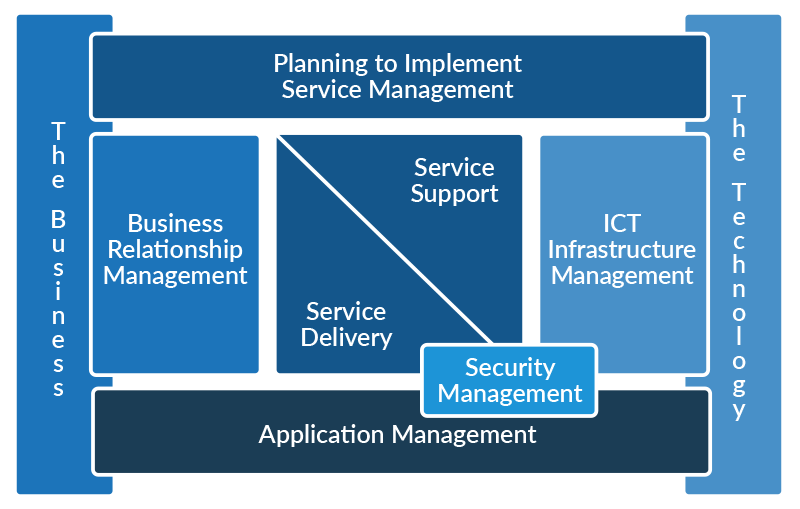 Service Level Management processes define IT and business roles and responsibilities. This is important for establishing clear goals for Service Delivery. And clear goals make it easy to measure and report on success factors. 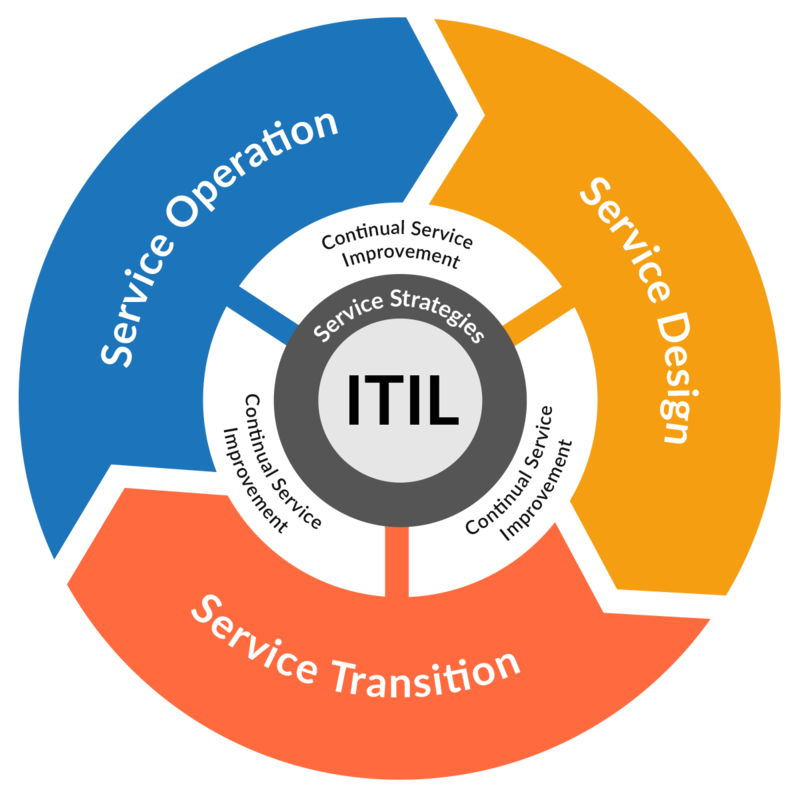 The first revision of ITIL, known as Version 2, took a technology-oriented perspective to coordinate and integrate the best practices. Organizations with less mature IT management processes might want to start with this version of ITIL. The current revision, Version 3, takes a service management lifecycle approach, managing the development and delivery of IT services from a business perspective. Version 3 is more likely to appeal to organizations that manage IT from a business-value point of view. Generally your IT organization’s culture and maturity will dictate the version that provides the greatest benefits. More mature organizations with existing strong business-unit involvement can derive more benefits with Version 3, while the technology best practices can help less mature organizations. There is no work lost if you start with Version 2 as all the processes and best practices are easily transferrable to Version 3. Looking to start an ITIL practice? Take the assessment to evaluate your IT maturity. Or, if you're ready, schedule a demo to see how Vityl Capacity Management can help you implement ITIL best practices.